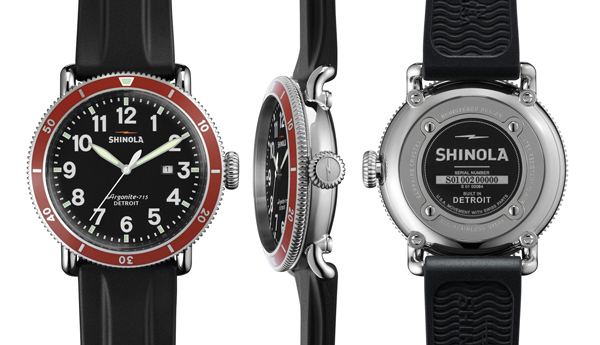 Shinola represents all-American made in their Detroit factory, their foundation being a unique Argonite movement using dozens of Swiss parts, domestically assembled with custom-made tools handled by highly skilled craftspeople. 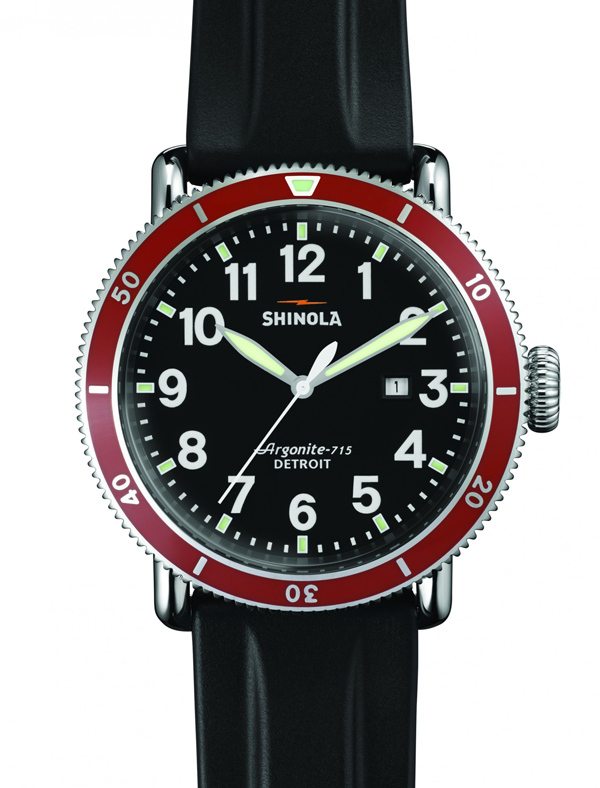 The Runwell Sport wristwatch, built for action with the highest possible quality in mind, has a 715 high-accuracy quartz movement, Super-LumiNova printed dial, stainless steal case and a sporty red top ring with black rubber stop. Arm your arm with Detroit’s pride for $675.